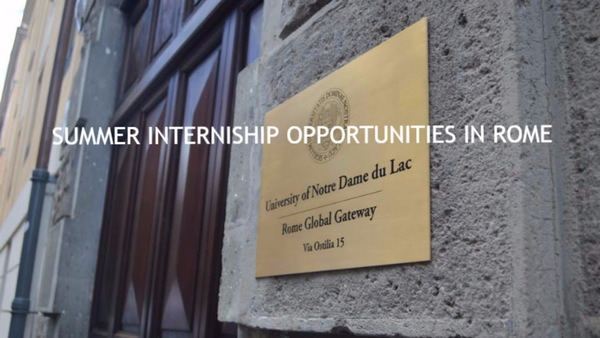 For more information or to submit your application, search for the “Internships in Rome” posting on the Go Irish site. Deadline to apply is February 8, 2017. Watch a video about a Notre Dame student’s experience at the US Embassy to Italy in Rome. Originally published by Anne Leone at italianstudies.nd.edu on January 25, 2017.